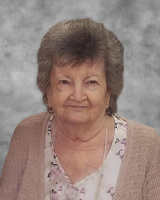 WEBER, Joan Marilynn (nee Reeves) - Passed away suddenly at the Humber River Regional Hospital - Toronto on Wednesday, March 13, 2019 at the age of 86. Predeceased by her husband Doug Weber (2010) and her daughter Donna Weber (2010). Joan will be sadly missed by her daughters Sandra (Rob Jemmett), Carol (Mike Chapman). Cherished grandmother of Jillian Jemmett, Lucas Chapman, Dillon and Diandra O’Dea. Friends and family will be received at Ward Funeral Home, 2035 Weston Rd. (north of Lawrence Ave. W.), Weston on Friday from 6-9 p.m. Funeral Service in the chapel on Saturday, March 16, 2019 at 11:30 a.m. Interment to follow at Sanctuary Park Cemetery. 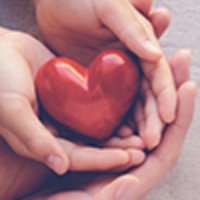 Donations may be made to the Alzheimer Society of Canada. Consider providing a gift of comfort for the family of Joan Weber by sending flowers. Our heartfelt condolences on the passing of beloved Joan. Thinking of you during this time. Our deepest sympathy in the passing of Joan Weber, beloved, wife, mother and grandmother. She will never be forgotten. We will always remember her cute little smile and the twinkle in her eyes.